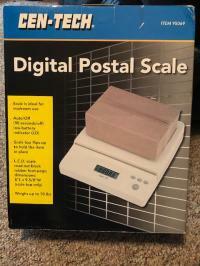 digital postal scale, weighs up to 70 lb. New condition. Users manual included.